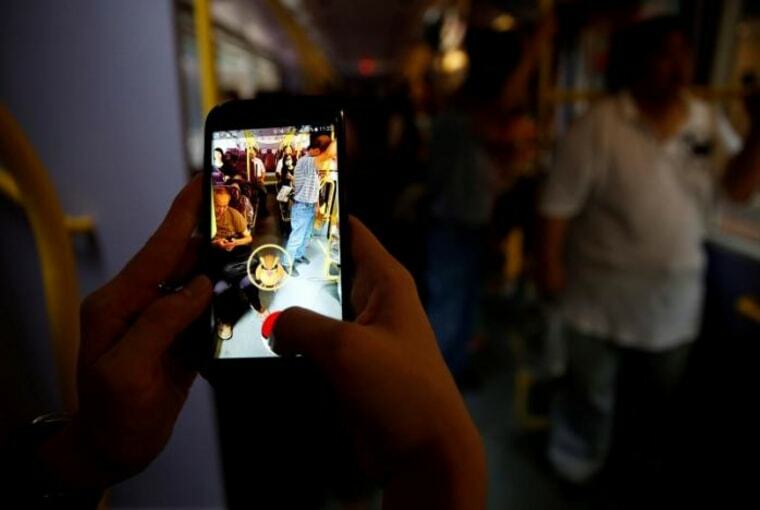 Asian fans of smartphone game "Pokemon Go" are hunting out the best telecom providers and network gear to overcome the hurdle posed by patchy network signals in their race to capture virtual cartoon characters. From Indonesia to Hong Kong and Cambodia, the wild popularity of Nintendo's augmented reality app is also driving lifestyle changes for many gamers, who must trudge through real-life locations in their quest. The game launched in many Southeast Asian countries on August 5, a month after the United States, New Zealand and Australia, but enthusiasts are finding they must first vanquish shaky transmission signals. "We can bring the modems to play, especially at places where a signal is hard to find," Syaifudin told Reuters by telephone. In Hong Kong, commuters are hopping on the trams known as "ding dings" in their forays, while in countries such as Cambodia, Laos and Vietnam, the U.S. State Department has sent tweets warning players to beware of unexploded wartime mines. Gamers are fueling a boom for modem makers, such as PT Smartfren Telecom Tbk, whose nationwide sales of 4G modems, priced around 300,000 rupiah ($23) each, have jumped fivefold in just two months. The firm has launched new devices with bigger battery capacity, Derrick Surya, Smartfren's vice president for brand and marketing communication, told Reuters. "More and more customers are looking for alternative sources of additional mobile network capacity," said Billy Cahya, a salesman at an electronics shop in the Indonesian capital, Jakarta. "Looking for Pokemons, looking for items, battling at gyms...We have done that again and again," he said, referring to game sites where players stage contests between virtual characters. "It probably needs a new concept to retain our interest." "We have fewer Pokestops in Legazpi City compared to metropolitan areas," said Rey Anthony Ostria, a player in the Philippine city about 340 km (211 miles) from Manila, the capital. "In towns that I have visited, there's almost none."